Without the overheads and ‘baggage’ that accompanied installation businesses built around a traditional model – showrooms, lock-ups, offices – this demographic is now more competitive, increasing pressure on ‘old school’ installers. And despite the recovery, in the face of this agile and flexible new competition, the traditional installation business model remains under continuing pressure. The outcome, so the so the theory goes, is that the retail sector is changed forever and continues to change. “Retail just isn’t the same as it was five years ago”, says Paul Schofield, Director, 21st Century Trade Windows. He continues: “It’s very difficult for traditional retail businesses to remain competitive, when there are guys out there who don’t have the overheads and costs. 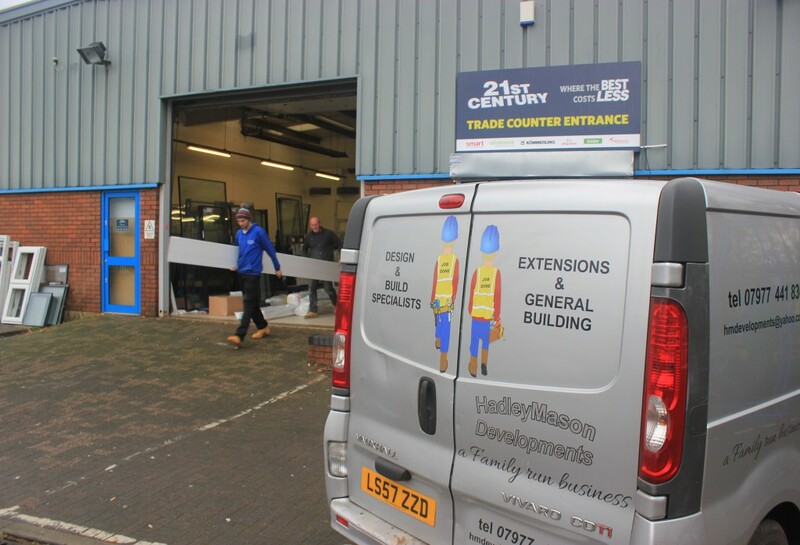 21st Century Trade Windows was launched by trade fabricator, Affordable Window Systems in 2014. “We recognised that things were changing and that that had ramifications for not only installers but also fabrication. There were fewer large installers and a new tier within the industry of smaller businesses who wanted to buy locally”, continues Paul. The 21st Century model also mobilises the buying power of its £30m plus turnover parent company to lever advantages across the board for its customers. Buying in bulk for its trade counters, the savings it makes on silicones, sealants, roofline and ancillaries are passed on to its customers. 21st Century also provides a skipping and recycling service, supporting installers in keeping their overheads low. “They finish a job, load up their van and then the next morning come to us, unload and recycle their waste, pick up their order, ancillaries and then head out and do the job. “It’s another indication of how much things have changed. 10 years ago, it was hard or softwood frames that were coming out, now it’s first and even second generation PVC-U frames. Recycling product is now just part of doing business. This strategy is also evident in its decision to supply aluplast aluplast. “We supply aluplast because it sells well and because the aesthetics are strong, it’s an energy efficient and technically advanced system, its German engineered and it offers a little bit of differentiation. 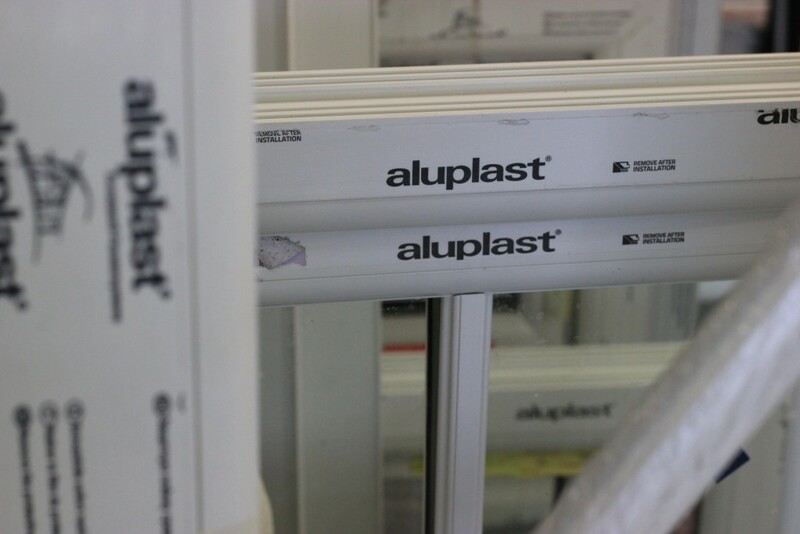 aluplast re-entered the UK market in early 2011, its core offer, built around the Ideal 70. The five chamber system is among the industry’s most energy efficient and with a choice of 24mm to an impressive 44mm glazing options, the slim line ovolo profile, easily accommodates triple-glazed systems. With triple-glazed options achieving a low U-Value with standard components, the system also achieves WERs A++ rating. 21st Century currently operates from four locations, Altrincham, Poulton-le-Fylde, Stafford and Blackpool but it also has plans to expand and is currently looking for partners. “There are lots of smaller fabricators or installers with premises, who may be under pressure and looking to remodel their businesses. The figures of doing so appear to stack up. From a standing start in 2014, 21st Century’s Altrincham counter, now turns over in excess of £1m a year and was up 25 per cent this year on 2014. This also rings true with industry analysis, Insight data, for example, reporting in the summer that there were now 816 window/door trade counter outlets across the UK, a rise of 44 depots in the last year, ranging from independent distributors to large national chains. “What we see is a very real opportunity for those installers or smaller fabricators who are prepared to adapt their business model”, says Paul. “We believe that the market is continuing to change and while many large retailers will survive, it will become increasingly difficult.